I realized the other day that when I make winter skincare recommendations I always mention face oils which are by no means the only way to add extra hydration to the skin. I fully recognize that not everyone likes face oil and so I felt like I was doing people a disservice. But I am here to make amends and offer up some alternatives. Most of these products will include the ingredients Sodium Hyaluronate or Hyaluronic Acid - other very popular ways to hydrate the skin without adding heavinesss. These are not stinging or harsh as they sound. They won't feel acidy at all, but instead draw in and hold moisture up to 1000 times their own weight. You can see why this is beneficial. So here are a few options. Tata Harper has created a superb all natural skin care line that was formerly available only to the elite. Now she is at Nordstrom and Sephora. Yay. She exclusively uses the most refined and exquisite natural botanical ingredients that heal the skin. 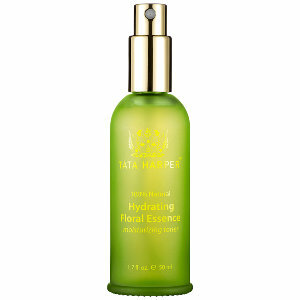 Tata Harper Hydrating Floral Essence is a terrific way to create a hydrating balance for your face. 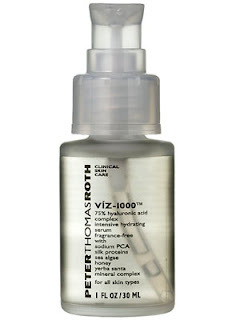 Just use it as you would a usual toner: after cleansing and throughout the day to refresh. Kate Somerville is a famous esthetician who rose from the ranks. I trust her to truly know skin because she has worked in the trenches. 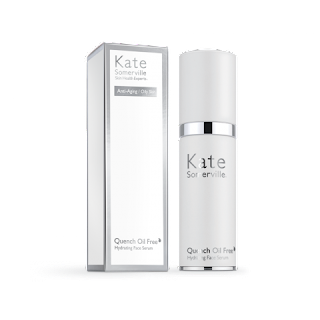 She created two versions of sodium hyaluronate serums (1) Kate Somerville Quench Oil Free Hydrating Face Serum which goes on as a gel so you don't feel it sitting on your skin at all. Wear it as a serum underneath your moisturizer, or for oily and acneic types wear it alone - it'll be perfect for you that way. 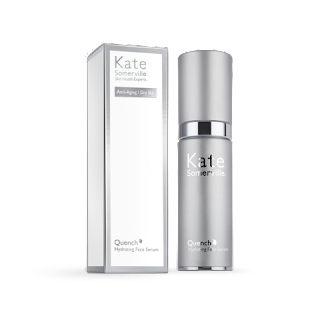 And also (2) Kate Somerville Quench Hydrating Face Serum which does have a little bit of oil (lipids) but not like a straight up face oil. Unlike the oil-free version it has a tad bit of retinol in it. Initially it feels quite slippery, partially do to its delivery system of dimethicone, and does take a while to absorb, but the uber dry skin types would love it. 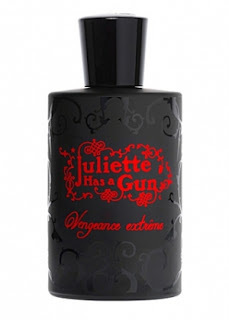 For them it is mostly worn as a serum. Both are pricey but a very little bit goes a long way. 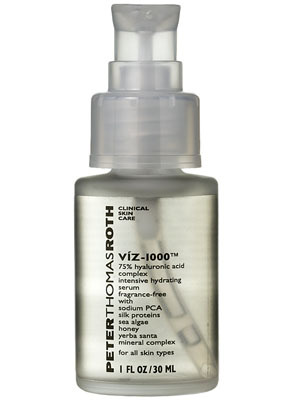 Peter Thomas Roth Viz-1000 75 Percent Hyaluronic Acid Complex comes from a clinical skincare line that delivers just as it claims. This high concentration of hyaluronic acid creates a smooth, plump, and more youthful appearance just from hydration alone. It is a light weight gel that absorbs into the skin immediately, and has been a best seller for years. Use it alone if you want things super light (like for men), or else under moisturizer, but either way watch out because it often sells out!